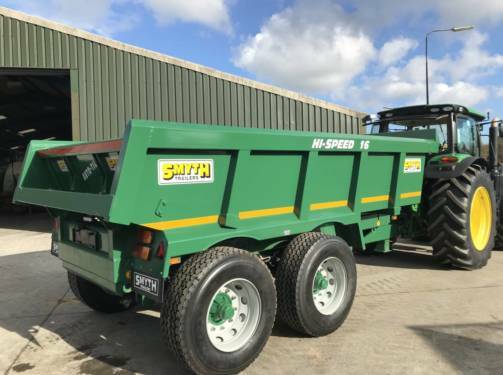 Our reputation has been built over 25 years and we ensure that our range of agricultural machinery is immaculately presented for you to inspect. Our in-house team will valet and carry out a full technical check on all our machines and our extensive range of machinery is reliable and thoroughly inspected. 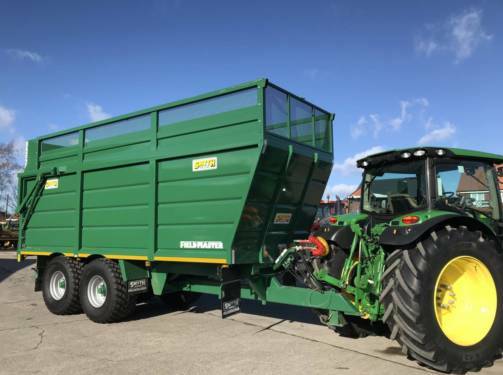 Whether you are looking for a tractor, a combine, a forage harvester, a baler or a trailer, you can be sure that we stock top-quality used machinery. We are always happy to discuss any aspect of our range and welcome customers to our premises in North Somerset. 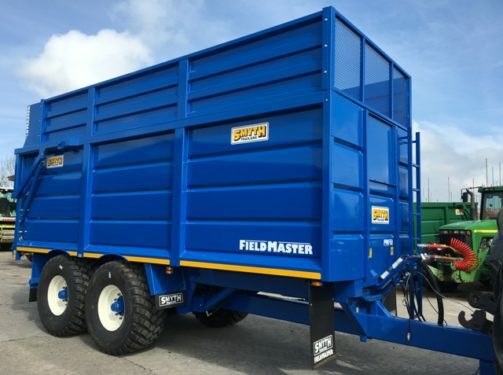 All Field Master trailers are fitted as standard with 10 stud commercial axles 420-180 brakes, sprung drawbar, full RTA LED lighting, chrome tipping rams and many other features. and 20 tonne Field Master. Different body heights available on all trailers upon request. Field Master Tri Axle Trailers come as standard with a passive rear steering axle. The rear steering axle can be locked from the tractor cab for reversing. Our customers report that the rear steering axle feature enables the Tri Axle trailers to be as manouverable as the 20′ tandem axle trailers. 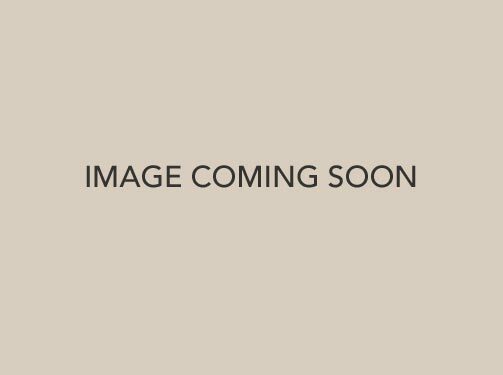 and Field Master 26′ Tri Axle. 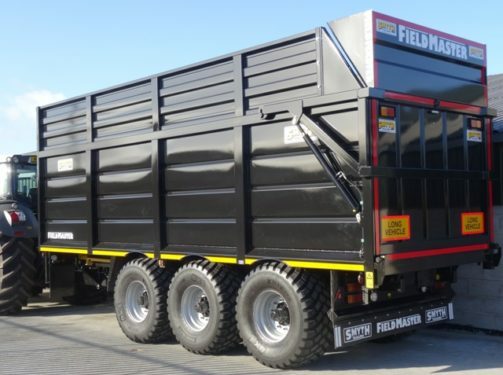 Field Master Super Cube Trailers are designed for increased capacity with higher sides and with a unique sloping front. The 20’6″ Field Master Super Cube has more capacity than a 22′ standard Field Master. and 22′ Field Master Super Cube. 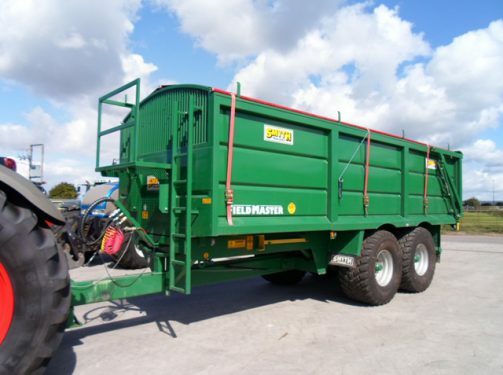 Farmer/Contractor trailers have a smaller 8″ chassis fitted with agricultural axles as standard. They can be upgraded to full commercial axles, large tyres and air brakes if required. and 14 tonne Farmer Contractor. Field Master Grain Trailers come fitted with a full width perspex front window. Rollover sheets with front platform and ladder are also available as an option. and 20 tonne Field Master Grain. 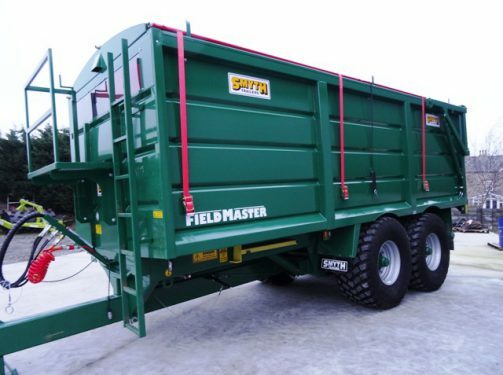 Field Master Grain Trailers (same spec. as Silage Trailer shown in PDF). 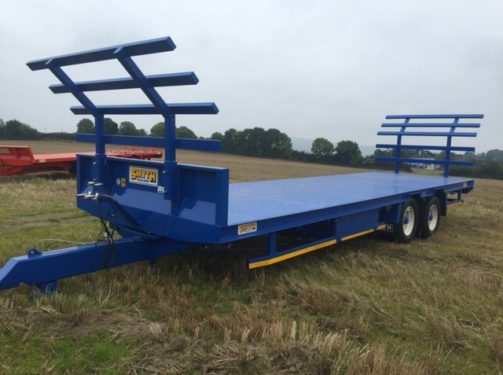 Field Master rootcrop/beet heaper trailers are available with full width arched front window and optional rollover sheet and front platform with ladder. 18 tonne Field Master Rootcrop/Beet Heaper. 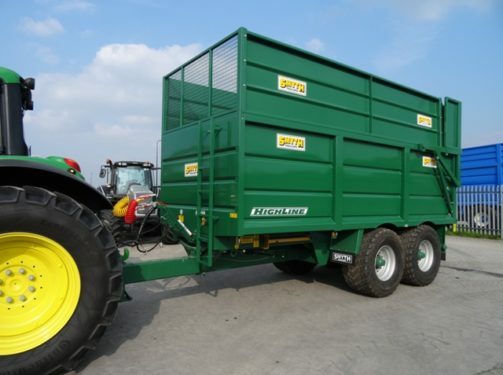 Other sizes available on Bale trailers upon request.